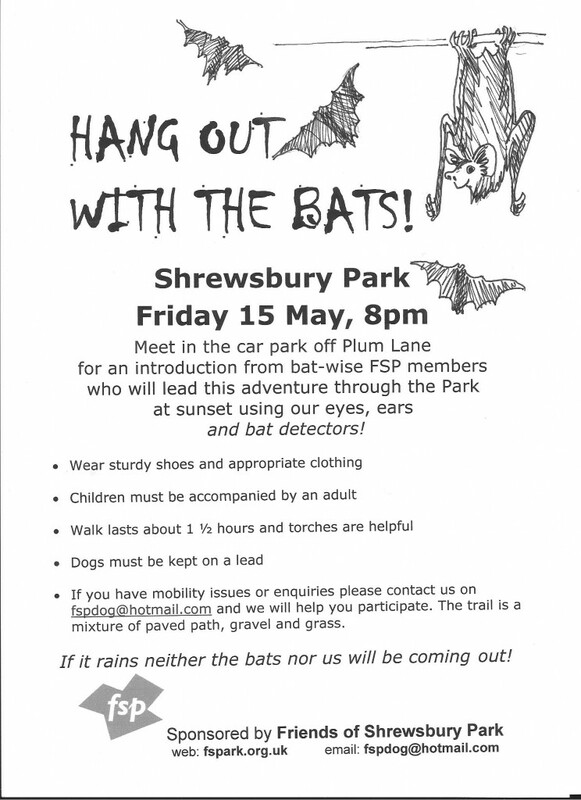 Meet in the car park off Plum Lane at 8.00pm for an introduction from bat-wise FSP members who will lead this adventure through the park at sunset using our eyes, ears and bat detectors! – If you have mobility issues, please contact us on fspdog@hotmail.com and we will help you to participate. The trail is a mixture of paved path, gravel and grass. The Friends will be borrowing bat detectors for the evening from the local parks forum, the Bat Conservation Trust and London Bat Group. Sussex Bat Hospital – One of our most popular attractions! 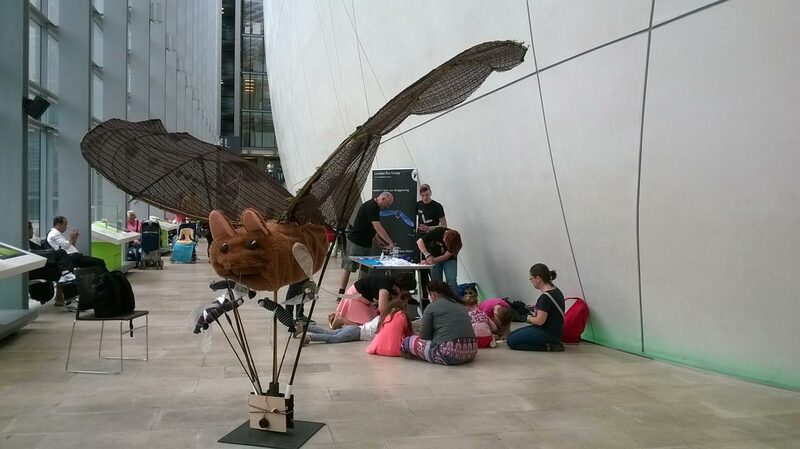 Learn about the work of Jenny the bat carer a.k.a. ‘BatLady’ who will bring her bat lodgers in for the day. These bats have been previously injured but sadly cannot be released into the wild. However, they live a comfortable life with Jenny who caters to all of their batty needs. Jenny, who was awarded the MBE in the 2015 New Years Honours List for her services to bat conservation, brings along examples of most of the UK bat species and shows them off to visitors. BAT WALK– A nocturnal walk around the nature reserve north of Eastern Way after sunset, identifying bat species with the use of bat detectors. Hopefully we’ll see some other nocturnal species too. Bring a torch if you have one, and you might wish to wear some insect repellent. Book for these by contacting Karen Sutton, the Biodiversity Team Manager at Thames Water Crossness Nature Reserve by phone on 07747 643958 or Email: Karen.sutton@thameswater.co.uk. If you can’t wait to see some bats here is a video of a pipistrelle bat in the hand. Remember though, if you do find a bat you shouldn’t handle it, but follow the BCT guidelines for containing it and contact the Bat Helpline on 0345 1300 228 or email enquiries@bats.org.uk.